ASHTABULA - The Lakeside Dragons and Grand Valley Mustangs boys’ soccer game might have ended in a 0-0 tie, but there was still plenty of action. Luke Morton, of Grand Valley, set the tone on defense for the Mustangs as he continually thwarted any Lakeside attack. Josh Huffman, of Grand Valley, and Tyler Phillips, of Grand Valley, each had close shots saved by Christian Munos, of Lakeside. Astrit Kololli, of Lakeside, missed wide left on another the other side of the field. Daniel Garcia, of Lakeside, and Nino Villanueva, of Lakeside, both had shots off the side of the net. Grand Valley tried to break the tie as Tyler Phillips passed to Alex Burkhammer, who had a shot sail over the net. Lakeside continued to put some pressure on with Cristian Aguinaga and Nino Villanueva, but Luke Morton and Cameron Atwell were there for the Mustangs on defense. The Mustangs also had a few more opportunities to score late in the first half as Alex Burkhammer fired a pass to Josh Huffman who missed wide right. Grand Valley showed off some good passing skills as Phillips passed to Justin Benson who was able to pass it back to Phillips who in return set up Josh Huffman for a potential goal. The Dragons continued to clamp down on defense despite the Mustangs offensive pressure. Maysn Anderson and Josh Huffman had two more shot attempts before the end of the half. 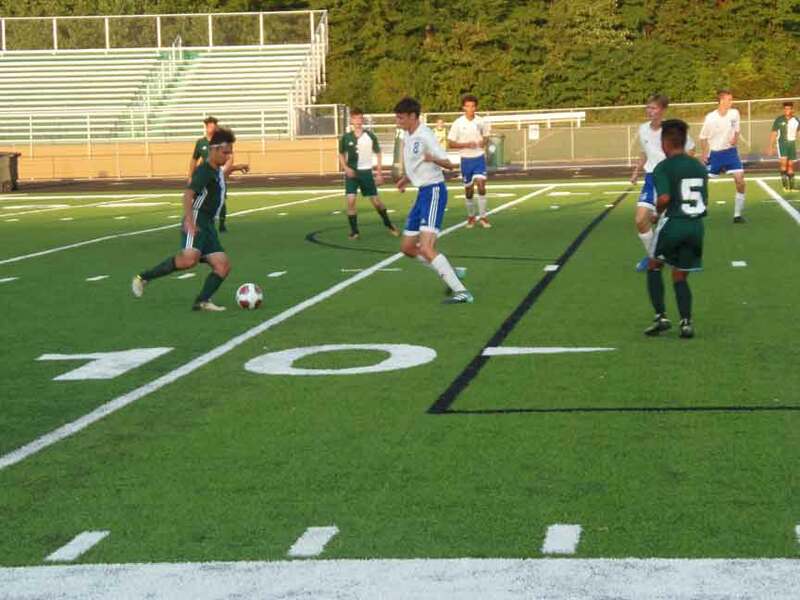 It was all defensive again in the second half as the Lakeside defense of Ethan Wannett, Josh Cole, Eric Robinson, Daniel Garcia and also midfielder Ozzy Campbell was able to limit the scoring chances for the Mustangs. PICTURED: The Lakeside Dragons soccer team hosted the Grand Valley Mustangs in recent boys’ soccer game.